Finished object! (What did you think it meant??) 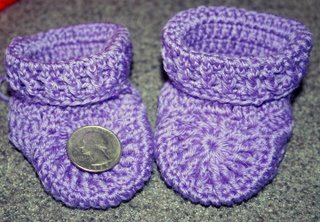 Tiny little baby booties. Aren't they adorable? This is the first baby item I've made from the stash of books I bought recently. 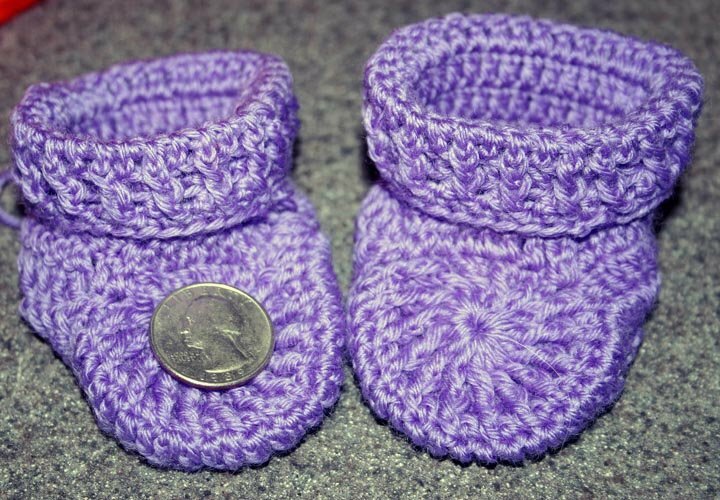 This particular book ("Baby Steps") has patterns for 12 different booties. And I may make all 12 - the patterns are well written, fun and - best of all - fast. At Saturday's birthday party at Anacapa Fine Yarns, I added this book to my collection. I fell in love with the cabled baby sweater and hat - which I plan to make in Christmas red. 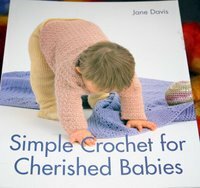 I hope the pattern is written better than the ones in her Felted Crochet book; I wasn't impressed with that book. Nice ideas, pretty pictures; I didn't like how the patterns turned out. 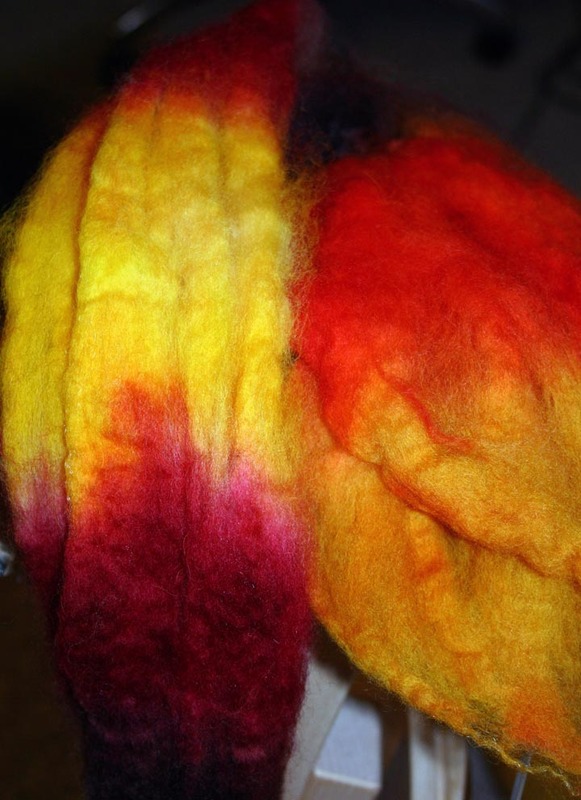 Today is the start of the Summer Spinning Challenge - and I spun! My goal is to spin 4 hours each week and to spin enough of "Grover" (a gorgeous 7.5 pound silver gray Lincoln-Columbia fleece) to make myself a sweater. I spun for 2 hours today, but not on Grover. 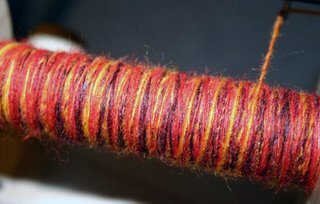 I spun this: into this: This is BFL (Bluefaced Leicester) dyed by Janel Laidman that I bought from Stick & Stone Fiberarts in Van Nuys. I love the colors - so sunny and cheerful. And to top the day off, look what arrived in the mail. 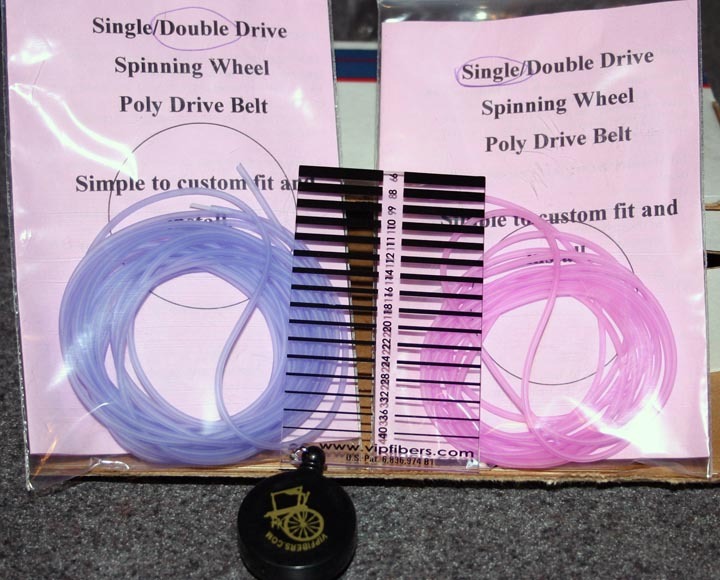 I ordered new drive bands (love the colors!) for Bekki (Ashford Traveler) and the temperamental Eleanor (Dundas wheel) and a sizing guide that will hopefully help me spin more consistent yarn. Susan at Spinning Bunny got these to me in just 3 days. I'm impressed! 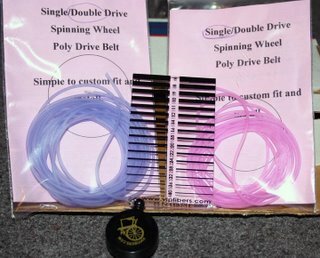 Elisa, I learned how to spin waaaaaay back when and I am looking for a good instruction book to explain how to use my drop spindle. Do you have any recommendations? Ohhhhh I want to go to Sticks and Stones with you the next time you go.